New Podcast Interview, Video, and Pre-Comic Con Pre-Orders! Batman/Green Lantern commission for Scott and his son from the Knoxville area. Batman head card sketch for a James, winner of one of my MANY Art Samurai workshop contests. Superman head card sketch for Ryan, winner of another Art Samurai workshop contest. UPDATE: I just got confirmed to be at Wizard World Chicago Con, August 8-11!! If you are going to attend that show, then pre-order sale prices will also be in effect up until show time! 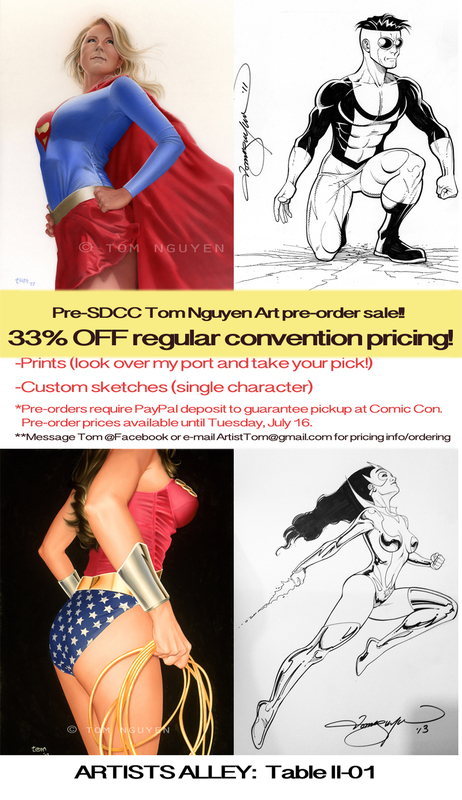 Contact me to get on the commission list/pricing info! !